Being your resource for all things BEAUTYful, sometimes I share the BEAUTY with my Kitties, Miss Bella & Piper. 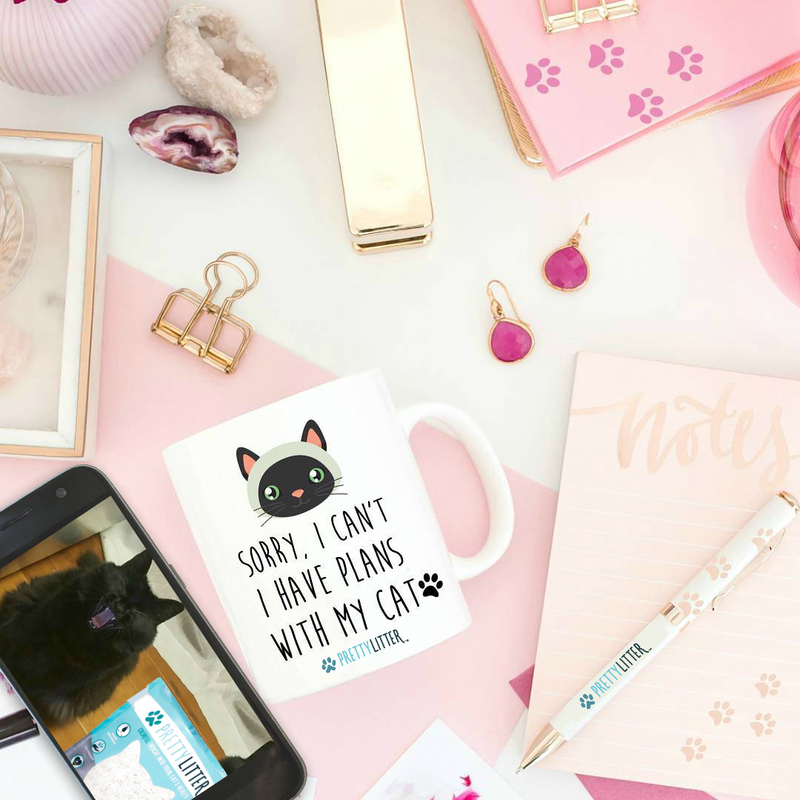 They love to see all the packages I get, and when one is for one of them, I know they are thinking…PURRfect, love it when you get us some goodies too! And with that, I am here to share with you PrettyLitter! Yes, I have the word Pretty and Litter in the same sentence, which intrigued me as well. It is because this product is Pretty Darn PAWesome. 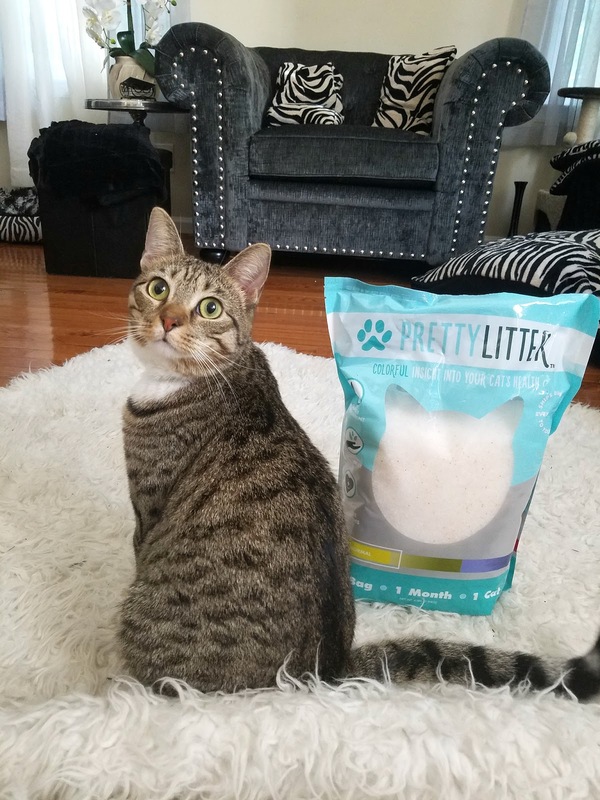 Not only does it help with odor, but PrettyLitter's formula makes it easier for you to use and clean your litter box. Its highly absorbent crystals do not clump, but instead absorbs moisture, traps all odor, and eliminates the urine. That means less work, no odor and less mess and less danger on your kitty, as while scooping litter can be convenient, it can be potentially dangerous. Why? Well, not until I received the PrettyLitter did I know that the bentonite which expands upon contact with moisture in traditional clumping litter can expand within your kitties’ digestive track. WTF? I never knew this. Think about it, after your kitty is done doing his or her business, they step out of the litter box, lick their paws, and that clay they just licked and swallowed may expand within their digestive tract. 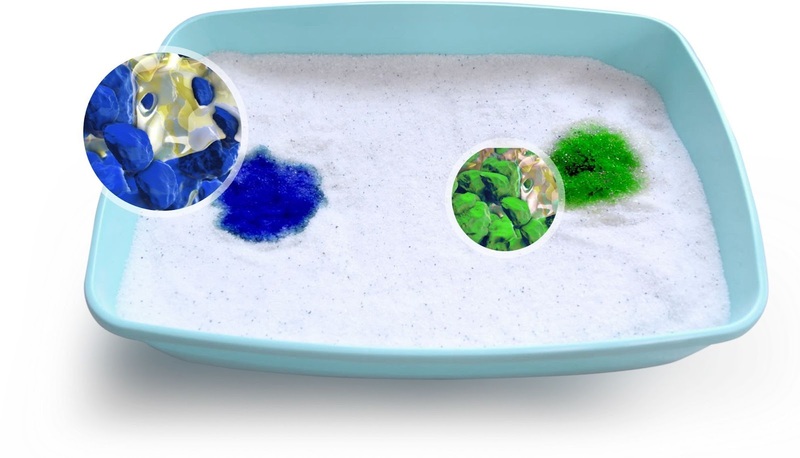 But not with PrettyLitter as it uses non-clumping crystals that are safe for cats, even when they breathe or ingest it. And if that is wasn’t good enough, another thing this litter does is it helps to keep tabs on your cat’s health, by changing color! When cats show pain, it is usually severe as cats are notorious for hiding illnesses, so it's often hard to tell if they are sick or in pain, and when they do it can be too late. One thing that intrigued me about PrettyLitter is that the litter changes colors if there is a potential health issue! Which makes it easier for us fur mommies to know if our cat(s) are experiencing a potential health issue before urgent medical care is needed, saving you money, stress and potentially your cat's life. Keep in mind this litter is a tool that can provide potential insights into your cat’s health, IT IS NOT A MEDICAL DIAGNOSIS PRODUCT. So, refer to your vet as I AM NOT ONE!!!!!!!!!!!!!!!!!! If the litter reflects one of these colors, it can mean a high urinary PH which can lead to bladder crystal and stone formation and or certain types of urinary tract infections. This color can mean your kitty has an abnormal acidity level, which may be a sign of metabolic acidosis or kidney tubular acidosis. Calcium oxalate crystals can be more likely to form in acidic urine, however from what I read acidic urine does not necessarily mean these crystals/stones are present, but it is the ideal environment for them to form. This could mean detection of blood, which may indicate Feline Lower Urinary Tract Disorder (FLUTD), bladder stones/crystals, kidney stones, bladder inflammation, certain types of kidney disease and clotting disorders. In rarer cases, it can also mean bladder cancer or an internal injury. Sometimes temporary color changes can occur because of a new diet, changes in environment or temporary stresses that can make their way into a cat's urine, causing it to signal colors outside the normal range. Hence, according to PrettyLitter, if you see a color change, observe the litter over a 24-48-hour period. If the color change persists, consider taking your cat to their Veterinarian for a wellness visit. If the above does not have you sold on this litter, there are a few more benefits of using this litter, see them below. Last Longer… A single 4-pound bag lasts you an entire month. 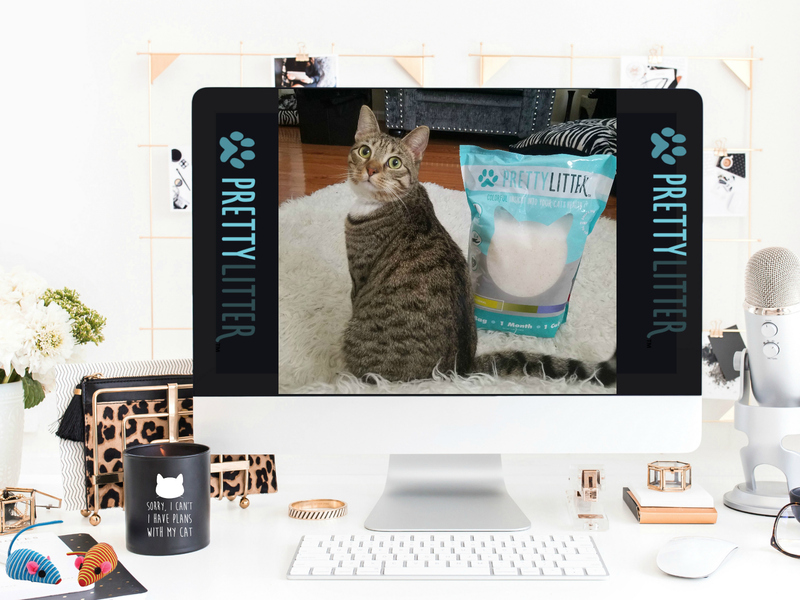 Unlike clumping litter, PrettyLitter absorbs and then eliminates moisture which means you do not need to keep adding more litter to your kitties’ litter box. Litter being shipped is so convenient as hauling those heavy boxes of litter up flights of stairs is such a pain. Plus, how many times have you forgot to get the litter and stinky, mad kitties! Not anymore. So, what are you waiting for? 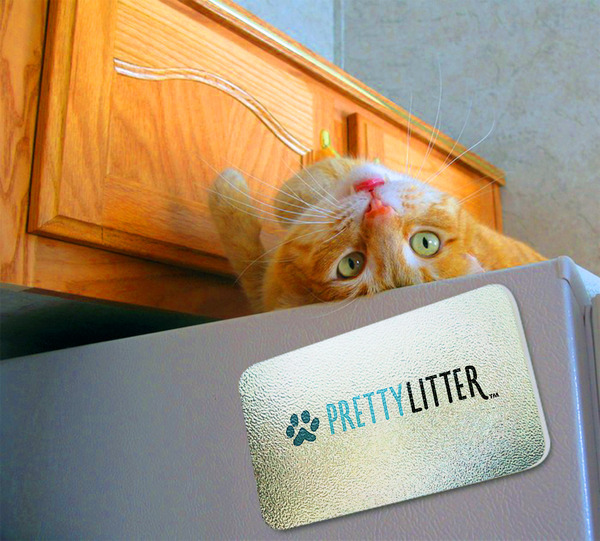 Join other happy cats and their fur mommies who are using PrettyLitter, by clicking here. Plus, if you use my code BARBIESBEAUTYBITS, you will save 25% Off!